Uvex Genesis XC Safety Glasses offer the same protection and features as the original Genesis but with 20% more cheek and side coverage. The Genesis XC provides all-day comfort and coverage. 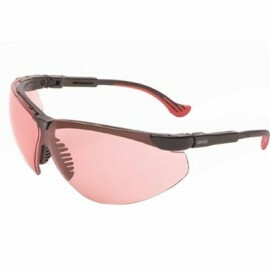 Available in a variety of lens color for every application, the Uvex Genesis XC is the best selling eyeware in the world. Keep your eyes protected today. Why choose UVEX Genesis XC safety glasses? 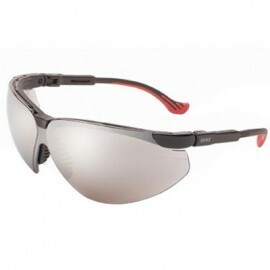 Revolutionary Design: Uvex XC safety eyewear is built with the same comfort and design as the Genesis, but with 20% more cheek and side coverage. Also features a soft brow guard, flexible nose fingers, cushioned temples and an adjustable temple length. Fit: The lens of the Uvex Genesis XC was designed to follow the contour of the cheek bone, creating a "zone of protection". 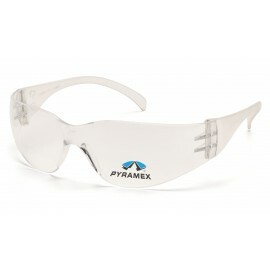 Durability: The Uvex lens is made from Ulta Dura, a tough siloxane based coating, which gives the lens superior protection against scratches and chemical resistance. The impact resistant polycarbonate lens blocks 99.9% of harmful UVA and UVB rays. 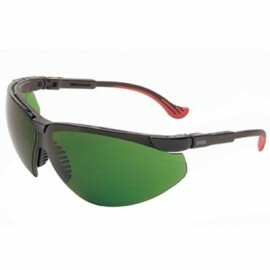 Cost: The Uvex Genesis XC starts as low as $6.90. Wow! 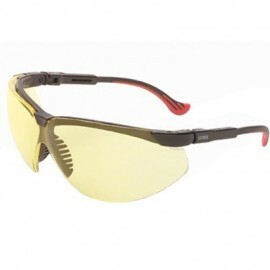 Now that's a great deal for safety eyewear. Not what you are looking for? 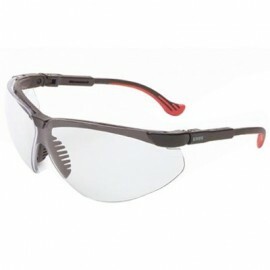 Then check out our line of Uvex Safety Goggles.